The ABC of Physiognomy. How to Tell Your Neighbour's Character. Hearts-Ease. Herbs for the Heart the Ductless Glands and the Nerves. Scientific and Esoteric Studies in Sexual Degeneration in Mankind and in Animals. Transl. by Ulrich van der Horst. Coming of Age in Samoa. A Psychological Study of Primitive Youth for Western Civilisation. Foreword by F. Boas. With paintings by Felix Labisse Georges Rohner and Ferro. 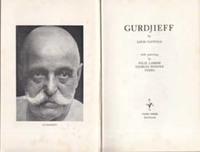 GURDJIEFF (G.I. ): (By Louis Pauwels). Catalogue of Watson Microscopes. Pts. 1 and 2 in one volume: Microscopes and Accessories for all the Biological Sciences. ... 35th edition. WATSON W. & Sons Ltd.
FLOYER John and Dr. Edward BAYNARD. Travels in Peru and India while Superintending the Collection of Chinchona Plants and Seeds in South America and their Introduction into India. All About Tea. 2 vols. The use and care of the Microscope. De Oraculis veterum ethnicorum Dissertationes duae ...Editio secunda plurimum adaucta; cui de Novo accedunt Dissertatiunculae. Atlas of Natural History given by Philip II to Jaime Honorato Pomar. (The Pomar Codex Philip II and the First Scientific Expedition to the New World circa 16th century). The Encyclopedia of Health and Physical Culture. A comprehensive guide to the proper care and development of the human body ...Vols. 1-8 (Complete).